The KM-750 mandolin has all the same features one would find on any vintage instrument costing thousands more. For almost 40 years, the name Kentucky has been considered America's Favorite and one of the best-valued, quality mandolin brands on the market today. That's because Kentucky cares about every detail that goes into making each of our instruments - From the globally-sourced tone woods to master level luthiers who painstakingly construct them, you know that Kentucky is the standard by which others are judged. 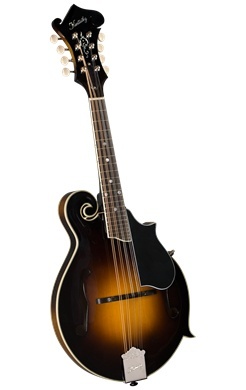 The KM-750 mandolin has all the same features one would find on any vintage instrument costing thousands more. Let America's Favorite Mandolin be your favorite too!